Next Meeting: May 14th 7:30pm at NBCCSJ E Building - all welcome. We are the Loyalist Amateur Radio Club which was founded in 1937. The Loyalist City Amateur Radio Club is a not-for-profit club serving the needs of the Amateur Radio community in the greater Saint John NB region. Amateur Radio is a popular hobby that has been around in some or another since the 1890's, when radio waves were adapted into a communication system by the Italian inventor, Guglielmo Marconi. Ever-changing technology has enabled Amateur Radio to move into the digital world through Software- defined radio (SDR), Internet Radio Linking Project (IRLP), JT65, FT8 and even EchoLink that can be used either on a computer or an App on a cell phone. Ham Radio operators not only use their radios for contacting other Hams both locally and around the world, but provide assistance during disasters such as power failures, flooding, fires, earthquakes, etc. Club meetings are on the second Tuesday of the month, at NBCCSJ 950 Grandview Ave Saint John, N.B. at 7:30pm. Unlike most other hobbies , Amateur Radio operators require a licence. In Canada, the Amateur Radio Service Centre, a division of Industry Canada is the regulatory agency that issues Amateur Radio Operator certificates, call signs, changes of address , request of special events or special prefix call signs. At this time the Loyalist City Amateur Radio Club does not offer a specific course to obtain a licence but there are many ways to find study guides such as websites, books, YouTube videos, and www.rac.ca (Basic Study Guide at a cost of $50.00). You can also go on the Industry Canada website and take the practice exams. Also, any member of the club would be ready and willing to help you succeed. The exam consists of 100 multiple choice questions. The required passing grade is 70% and HF Privileges is 80%. When your ready to write the exam, there are examiners in the club, or you can take it at the local district office of Industry Canada. 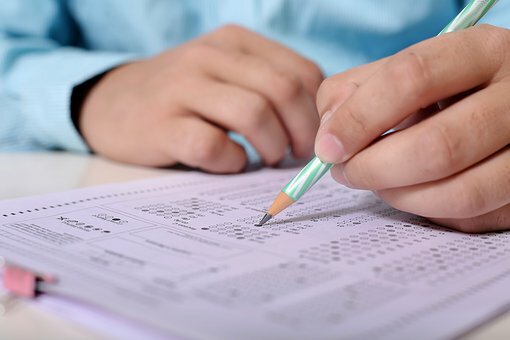 Industry Canada charges a fee of $20.00 for each examination. The same fee is applicable to re-examinations. An accredited examiner, such as a club member, is not required to send this fee to Industry Canada, but may charge this fee to cover their cost of administering the exam. Suffice to say, generally there is no fee, but I have to inform you of the possibility. After you pass the test, then what; well maybe you might like to join the Loyalist City Amateur Radio Club, just $15.00 annually starting in September of each year. The club has many events such as JOTA, (jamborees on the air) providing communications during marathons, sometimes Field Day activities, etc. So come join us, and have fun with great people helping you to learn and experiment with all the radio modes, and there are many, from mini computers to antennas and everything in between. Radio Amateurs of Canada (RAC), known in French as Radio Amateurs du Canada, is the national association for Amateur Radio in Canada. It is a not-for-profit membership association with headquarters in Ottawa, Ontario, Canada, representing the interests of Amateur Radio all across Canada. Speaking on behalf of Canadian Radio Amateurs, RAC provides liaison with government agencies and carries the Amateur voice about regulatory and spectrum issues to the discussion table with government and industry leaders, nationally and internationally. The best 45 reasons why amateur radio is a great hobby! It works when nothing else does. It makes you part of a worldwide community. The opportunity to provide public service and emergency communications. Some of the smartest people you'll ever meet. Ham radio balloon launches to the edge of space. Keeping track of other people's GPS units via APRS. The opportunity to go interesting places you might not otherwise go to. DXing on your HT via IRLP and Echolink. The opportunity to expand your knowledge of geography. The opportunity to expand your knowledge of earth and space science. Practical uses for high school math. Experimenting with new modes and new technology. A way to practice a foreign language. A good way to keep in touch with far-away friends and relatives. A way to get driving directions when visiting someplace new. A good way to find the best places to eat when visiting someplace new. Finding "non-touristy" off-the-beaten-path places to stay, eat, visit. Working DX while mobile or while hiking. A good way to bridge the generation gap. Operating QRP from some remote location. How many of your non-ham friends might have talked to an astronaut aboard the space station? How many of your non-ham friends might have a satellite up-link station in their home? How many of your non-ham friends might have a TV studio in their home? What other hobby group has designed, built, and had launched its own fleet of communication satellites? Where else can you play with meteors? Joining an amateur radio club. Informal way to improve communication skills. Introduces a variety of career paths. Offers unparalleled opportunities for career networking. Opportunities for competition in contesting. A good way to collect really cool postcards from around the world. Using gear you've built yourself. Working with new software programs.